I wanted to begin by talking a little bit about “The Reason”. It’s been 15 years since it was released, and you’re celebrating that by playing the album in full tonight? If you think back to that sort of time in your career, what are you fondest memories? This year isn’t just 15 years since “The Reason”. You formed in 1994 so it’s also 25 years of Hoobastank. How would you say your music has evolved in that time? Has anything changed with the way you write songs together as a band? “Push Pull” is your most recent album and it was released last year. The album had quite a polished sound overall, and also covered Tears For Fears “Head Over Heels”. Who came up with the idea to cover that? Doug- “The producer Matt Wallace asked us at one point if we would be open to the idea of covering a song, and we’ve done some covers in the past but nothing that we released officially. Most of the time it was always done just tongue in cheek, sarcastically. We were like ‘Sure, we’ll consider it’ and he gave us homework, to go home one night and come up with ten songs that we really loved each. It wasn’t a case of choosing the song we’d think would be the best single. It was just ten songs that we loved, it could be completely left field. We spent the next day listening to everybody’s songs in the studio, it took 4 or 5 hours because after each song we would talk about why we liked the song and what was cool about it and how we could bring our own spin to it. After a few days doing that we’d narrowed the choices down and we voted… and we settled on ‘Crazy’ by Seal. I kind of knew though, once we began to record it and perform it that it didn’t feel right at all, it just didn’t feel good and I think Tears for Fears was our second choices because it was a song where we all loved the original. I thought what we could do to that song as Hoobastank was cooler than what we could do to “Crazy”. What else was on that list?!? What is your favourite song tonight in the set? Oh my God… no! I mean your favourite song in your set! What’s the opposite to it? What’s the most challenging song in the set? Do you have a crazy story you could tell me? Maybe something about the fans, or a show you’ve played, or an experience you’ve had as band? Not at all! Helicopters are way more interesting. 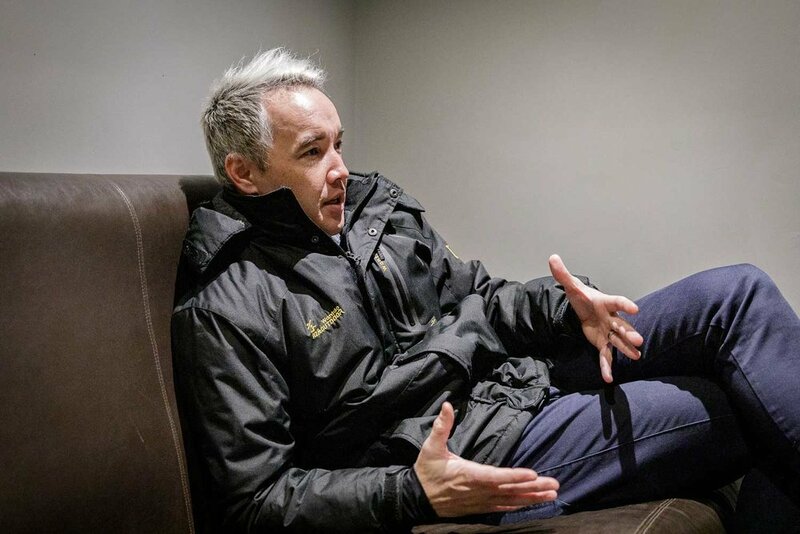 What next for Hoobastank? New album maybe? Thank you both so much for your time this evening! Have a great show!